I work on a regular basis with Ultimate Finance, a company that helps SMEs speed up their cashflow. Job include writing their press releases, articles, blog posts, web copy, leaflets, product fact sheets, customer success stories, emails, direct mail and advertisements. 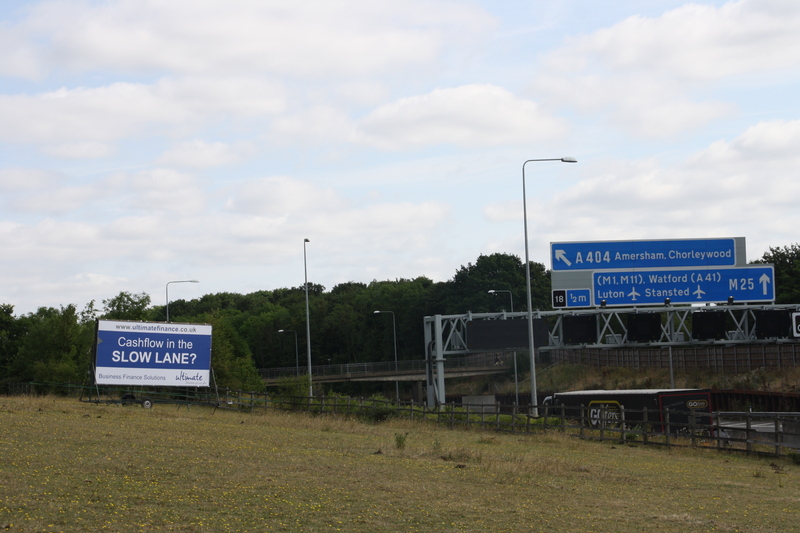 They recently bought a poster site by Junction 18 of the M25, where you turn off for the M1. Traffic is at a standstill for much of the time so it’s a prime spot. The headline I came up with isn’t super-creative. But it doesn’t have to be – just gets the point across in a way that’s appropriate to the location. Shows variety of work I undertake – one day it’s luxury holidays in the Seychelles the next I’m on gritty finance and the M25. Variety is the spice of life, or so it is said.